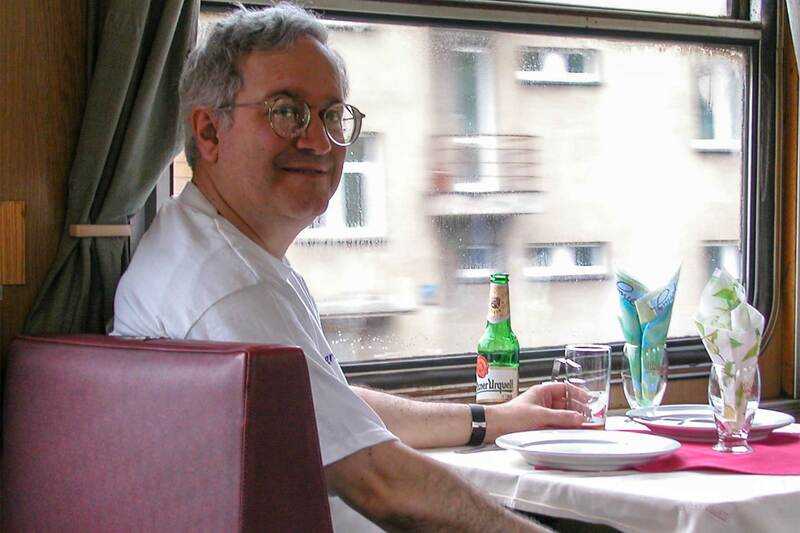 Jimmy Mattina relaxing in the dining car on EC 79 (Csardas), Prague to Brno. 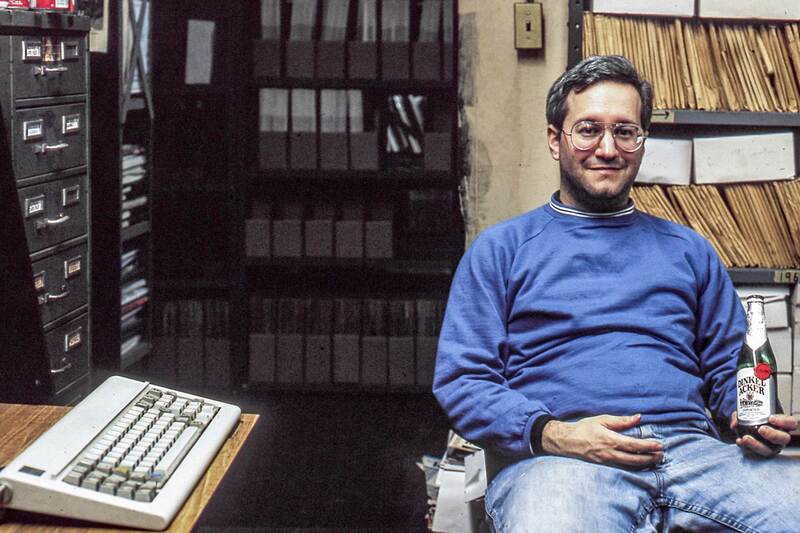 Jimmy with the ERA’s original IBM PC. 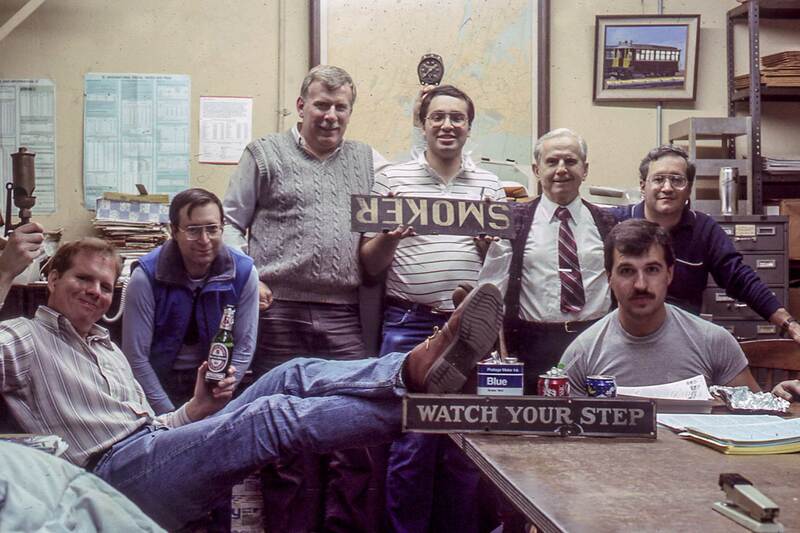 Jimmy and the New York Division crew. 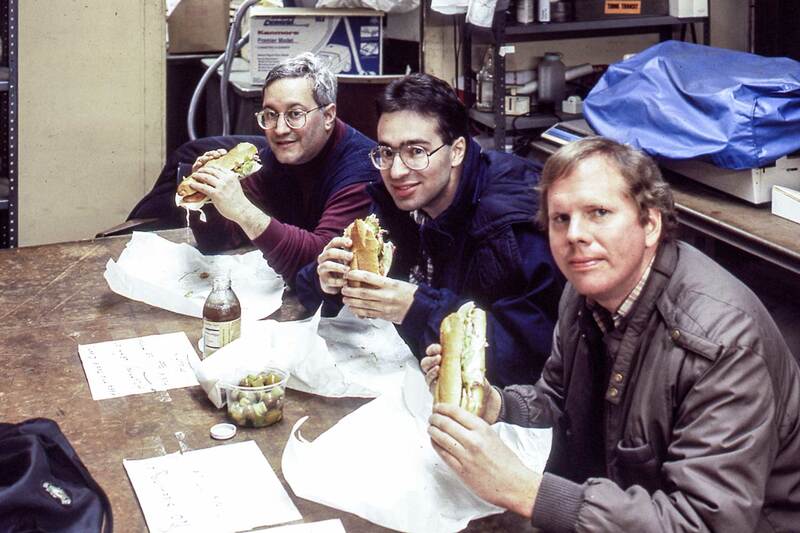 Jimmy, Dave Ross and Glenn Smith at ERA headquarters. 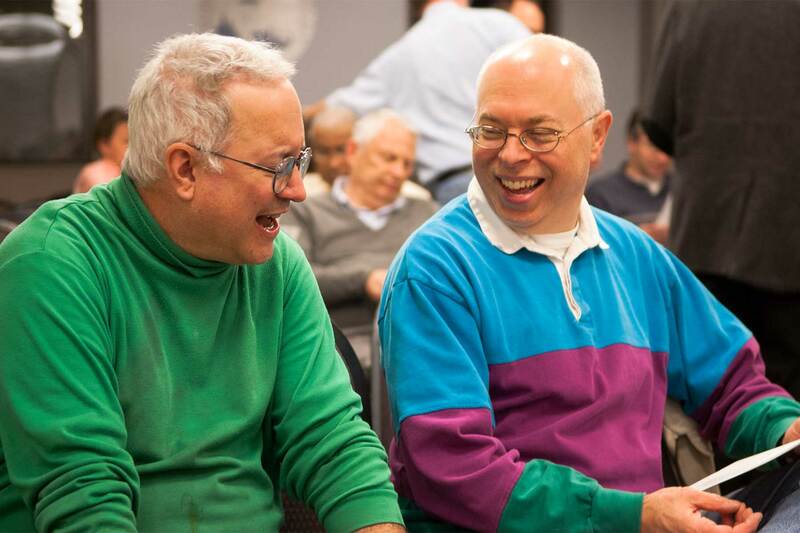 Jimmy and Jeff Erlitz at the 2010 Annual Meeting in the Seafarers & International House. 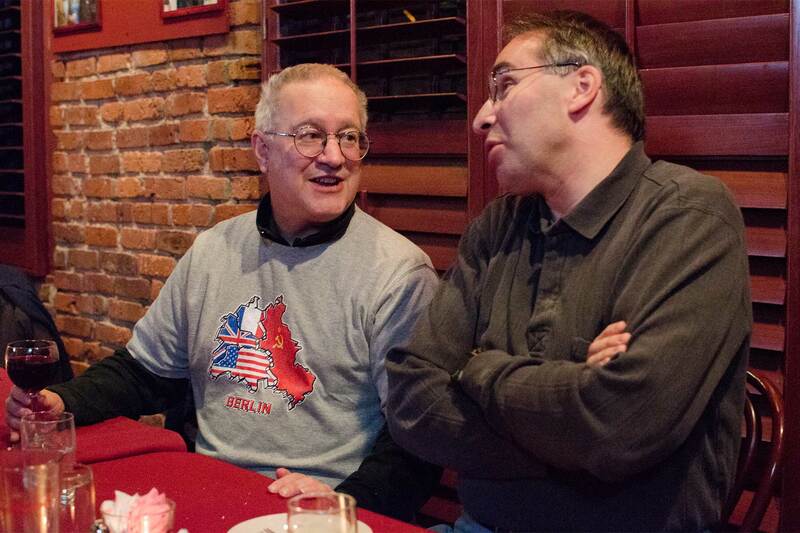 Jimmy and David Ross at Pete’s Tavern before the 2011 Annual Meeting. James Mattina, our inspector of elections and former membership secretary, passed away early in the morning of Saturday, February 7, just past his 61st birthday. He had been battling an advanced from of cancer for a year and a half. Jimmy, as most of us knew him, joined the Electric Railroaders’ Association on January 28, 1971 at the age of 16 and was member number 4109. If memory serves me right, he probably started volunteering at headquarters in the late 1970s, initially on Saturday mornings and then on Monday evenings. Like most of us, he could be found collating, stamping envelopes and bagging sacks of mail for both the New York Division Bulletin and National’s Headlights. Around 1986–87, ERA purchased its first personal computer, an actual IBM PC. Together, Jim and I constructed the membership database from scratch, typing in the data from each and every membership application starting with the earliest records. We used Ashton-Tate’s dBase III+ relational database. I believe Jimmy continued using this software until last year. Jimmy loved to travel and took advantage of ERA’s very first trip to Europe, in 1983, which was planned and led by Jack May. I did not go as I used to think there was nothing to see there for the electric traction fan. Obviously, I had a lot to learn and when Jimmy returned from this overseas excursion, he raved about all the transit systems and railroads he had seen and ridden. Convinced, I went with Jimmy and many others on ERA’s second trip to Europe in 1985. Jimmy was absolutely correct; I had a railroad and transit epiphany. What would you expect, since my very first train ride in Europe was on the Swiss Federal Railways! Jimmy had told me about the level of track maintenance over there and it kind of went in one ear and out the other at the time he told me. As I sat looking out the window on that very first train ride from the Zürich airport into down-town, I was astounded at the smoothness of the ride, especially through the interlockings. “See,” Jimmy said, “I told you!” That was the first of many trips with him overseas. Outside of ERA, Jimmy worked almost all of his adult life at the one place he really wished to work, the New York City Transit Authority. Holding various positions over the years, Jimmy was most recently in Maintenance of Way. He often said that because his hobby and his means of employment were the same, it really was not “work.” How very true. On a personal note, I really have Jimmy to thank for broadening my tastes in foreign cuisines. If I recall cor-rectly, it was he who initially suggested trying out Indian and Korean restaurants after our work sessions on Monday nights at ERA headquarters. Jimmy loved good food, and regardless of its country of origin, the spicier the food, the better. In September 1987, we and two other friends were on vacation in London. We went to Edgeware Road one evening for real Indian cuisine. Jimmy, of course, asked the waiter to make his dish very hot. Apparently, it was the hottest he had ever had, which suited him just fine, sweat pouring off his head notwithstanding. The other three of us had to help him finish it. We amateurs could only help a little, as it really was too hot for us mere mortals. Additionally, one of Jimmy’s most favorite restaurants was a Czech place on 31st Street in Astoria, now sadly closed. Besides having fabulous food, they always had his preferred beer, reasonably fresh Pilsners from the Czech Republic and, of course, sauerkraut! Another major interest of his was foreign languages. 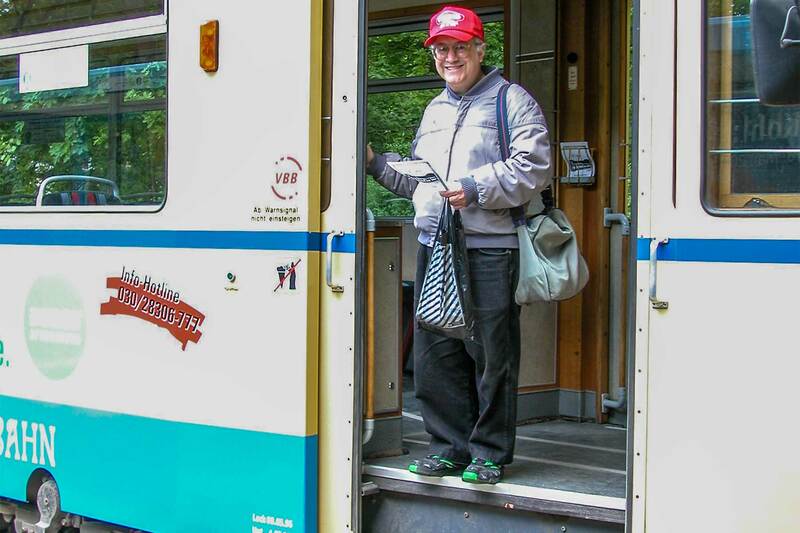 Jimmy had taken four years of German in high school and had retained an awful lot of it, so much so that he was an absolute godsend on our trips through Germany, Austria and the German part of Switzerland. He managed to learn at least a few phrases in several more languages, including Hungarian(! ), just to able to initiate a conversation. Jimmy was a beloved friend to many. He was full of good cheer and brought laughter and smiles to any gathering he attended. Above all, Jimmy was an absolute gentleman who would give you the shirt off his back. A truer friend would be very hard to find. He will be sorely missed.